Michaël Parent, who operates one of my favorite sites- Le Mot de Cinephiliaque– has been taking submissions for his annual “Most Influential Directors” poll. Michaël gets an impressive list of contributors each year, and I’m sure this year will be no different. Today is the final day for submissions, and my ballot is going to beat the buzzer, just barely. Here’s my ballot, along with a brief write-up on each director detailing why I chose them, along with a representative film from each director. Before beginning, I think it’s important to establish a ground rule. The title of the poll is most influential. That doesn’t mean best, or most fun, or favorite. For me, this is about which directors have had the widest influence on film history. 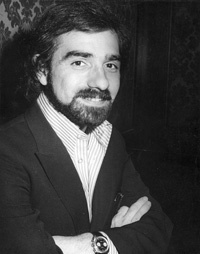 Along with several other New Hollywood directors, Martin Scorsese helped demolish the puritanical mould established during the Production Code era. What makes Scorsese stand out amongst his peers is how perfectly he served as the missing link between many of the foreign art house movements of the 1950s and 1960s, and the new American cinema. 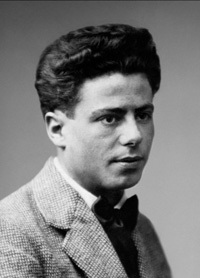 There are elements of Italian neorealism, the French New Wave, and Poetic Realism in his films. There are also influences from Satyajit Ray, Ingmar Bergman, and Federico Fellini, as well as his fellow American, Orson Welles. Scorsese was one of the first directors to mesh all of these things into something greater, and his boiling pot of notable styles and themes has been mimicked ever since. Preston Sturges was a groundbreaker in the world of comedy. His fast-paced, occasionally overlapping dialogue and utter disregard for censorship hammered away at accepted filmmaking practices, all the while making his audiences laugh. His influence on the Coen brothers alone earns him deep consideration for a list like this. But he also inspired others- David Mamet, Woody Allen, Noah Baumbach, and the Spinal Tap/Mighty Wind gang come to mind. The world of comedy would be vastly different without the films of Preston Sturges. It has become somewhat fashionable in recent years to bash Spielberg for his sentimentality and the negative influence he had on the future of cinema. I’m not here to make value judgments about the kind of influence a director has had. And Spielberg’s vast influence is undeniable. Summer blockbusters are what they are because of Spielberg. A whole generation of kids grew up on his films and learned to imagine bigger, better, more fantastical things. Guillermo del Toro, Peter Jackson, Robert Rodriguez, James Cameron, and Ridley Scott all count in the category of filmmakers who drew from Spielberg’s magic. Both Italian Neorealists and the French New Wave had tremendous respect for Renoir. That basis alone makes Renoir suitable for this list. More importantly, Renoir’s deep focus cinematography laid the groundwork for Orson Welles to employ it in Citizen Kane (1941). Welles himself is a candidate for this list and he wouldn’t be so if he hadn’t been influenced by Renoir. For a man who died after making just four films, Jean Vigo’s work is a tremendous link between the work of early surrealists and everything else that came afterwards. Bernardo Bertolucci and François Truffaut each owe a debt to Vigo’s films. Another filmmaker who was profoundly influenced by Vigo was no less than Jean Renoir, #7 on this list. And that trio of filmmakers has served Vigo well as practitioners of his craft. Godard’s restlessly angry take on cinema and rule-breaking led to the rise of a flood of notable American directors. Robert Altman, Martin Scorsese, and John Cassavetes all possessed clear Godardian influences, as has Wes Anderson more recently. The biggest Frankenstein’s monster born out of Godard’s legacy is Quentin Tarantino. Hitchcock is universally emulated. The French New Wave crew, most notably Claude Chabrol, loved him. New Hollywood took him on many times. Seemingly every thriller and horror of the modern era employs the suspense-building techniques that Hitchcock used. 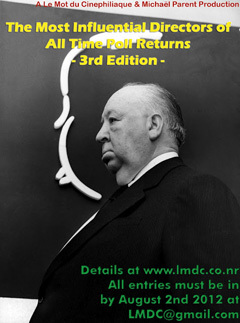 More importantly, Hitchcock was never afraid to break the rules (often to play dirty tricks on his audiences), a fact that revolutionized the way a lot of future filmmakers would look at the art of making movies. 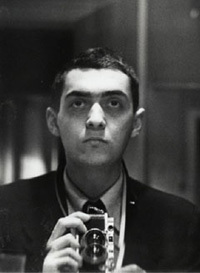 The question about Stanley Kubrick’s influence isn’t so much a question of who he influenced as it is which films influenced which future filmmakers. 2001: A Space Odyssey (1968) launched an entire generation of future filmmakers into action, both in the realm of science fiction and several other genres. He made a long-ranging impact on the anti-war sub-genre twice–once with more serious fare, Paths of Glory (1957), and once with satire, Dr. Strangelove (1964). The list of future directors influenced by Kubrick would be endless. Lang’s early German films are legendary. M (1931), Metropolis (1927), and the Testament of Dr. Mabuse (1933) are all massive achievements in film history. What makes Lang so special and so influential is that he mastered the technique of light and shadow, of gothic surroundings, and expressionism. Lang’s wizardry was a launching point for film noir, which heavily impacted both America and France. Of equal importance is that Lang’s work in Germany led to the creation of the classic Universal creature features in the US, essentially the birth of American horror. Few filmmakers can be said to have influenced two major movements in film history. And yet, Lang can. When Georges Méliès started making movies, there was no such thing as a movie studio. There was no stop motion trickery, no superimposition, no special effects created by perspective and trap doors and the like. Really, considering that nobody else saw the medium of film as anything but a chance to make documentaries, there weren’t even movie actors before Georges Méliès. There are a lot of filmmakers who would have been considered for this list before I became familiar with Méliès. Luis Buñuel and Abel Gance, each widely influential in their own right, would have earned very strong consideration. But then I found out that most of what they had done, that had made them special, had been first done by Méliès. Glad to see Renoir represented on this list. The first time I saw Rules of the Game, I was shocked at how much it so obviously influenced Orson Welles. I felt much the same about Grand Illusion. These are all spot-on choices. Thank you so much for the head up! Great list and very interesting choices! 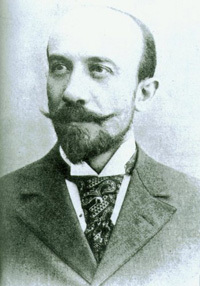 You are the only person to actually have put Georges Méliès. Especially at your number 1 spot! I think it’s great that you have a unique list. D’oh! I wish Melies got more love. Although I understand. At least part of that could be lack of familiarity. Thanks for running it, Michael. It’s a great concept. Excellent list. 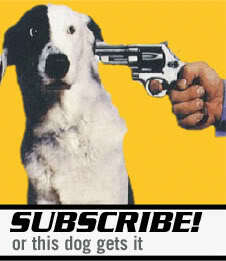 Each and every one a bullseye. Good job. Thank you for the kind words! I enjoyed your list as well. Those quotes are very revealing, especially the Wilder one. LaRue, you can now count the minutes until someone questions your decision not to include Kurosawa. Kurosawa, amongst others. I can think of a few others that folks will want to see, too. Your Giamatti observation is uncanny in its accuracy. I actually think 2001 would be a more representative film for Kubrick seeing how much it has influenced science fiction. I almost flipped a coin between 2001 and Dr. Strangelove. It really came down to the fact that I enjoy Strangelove more. Thanks for the award. I’ve gotten a few, and need to give some answers soon. Strangely enough, those two are my least favorite Kubrick films. I know they are the most celebrated ones but Full Metal Jacket and A Clockwork Orange are damn good. They are not my favorites either, that honor would go to Barry Lyndon, but I think they are far more influential than that film is. A Clockwork Orange is probably my least favorite. It’s really, really well-made, but I can’t really dig on it. I almost think of Truffaut and Godard as a coin flip since a lot of what was learned from either would’ve been the same. I guess a vote for one is a vote both. Bergman would definitely have been in the next 5. Truly great list here. I like the distinction of influence as opposed to favorite or best. And, yeah, if we’re talking influential, it’s hard to go with anyone other than Méliès. I think it’s an important one to make. It’d be easy for me to cram this list full of guys like Bergman, the Coen brothers, etc… But in all honesty, I don’t think they were as influential as what I’ve listed. You can never remove personal bias but it’s what you strive for if you can.